Restore Strong Bones and Joints Naturally for Optimal Strength and Mobility! Did you know that bones and joints are made of living and dynamic tissue that is completely replaced at least every 7 years? That means you have a lot of control over what happens to your bone and joint health and can take charge of it by making a few changes. Bone is continually changing and remodeling. There are cells that break bone down and complementary cells that build bone up, and when their activity is balanced, all is well! Hormones play a huge role in the animation of these cells, which is why menopausal women and older men often develop osteopenia or even osteoporosis. Joints are also continually rebuilding and remodeling the protective cartilage that keeps activity and mobility comfortable. Proper care of that cartilage involves a healthy diet and lifestyle as well as optimal amounts of some very important nutrients required for maintaining the cushioning. 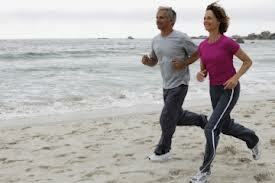 Maintaining healthy bones and joints becomes increasingly important the longer we live. Over time, our bones can become brittle and our joints can become weak and painful causing us to miss out on activities that we once enjoyed. Drugs designed for bone health and joint pain relief often have side effects that are problematic and potentially devastating. Bone and joint health can be maintained with proper nutrition, lifestyle, and targeted supplements to nourish the bone and joint tissue over a lifetime! Dr. Ford can test the activity of bone and cartilage cells with a simple urine test, and get you started on a program customized specifically to your bone and joint health needs. Because the test reveals in “real time” what is happening with your bone and cartilage metabolism, unlike a DEXA Scan, Dr. Ford can monitor your bone and joint health regularly and promptly make necessary adjustments to your regimen to keep you on track to strong, healthy bones and joints for a lifetime. Do you want to start your journey towards stronger bones and joints? Begin restoring your bone and joint health! Contact us today!